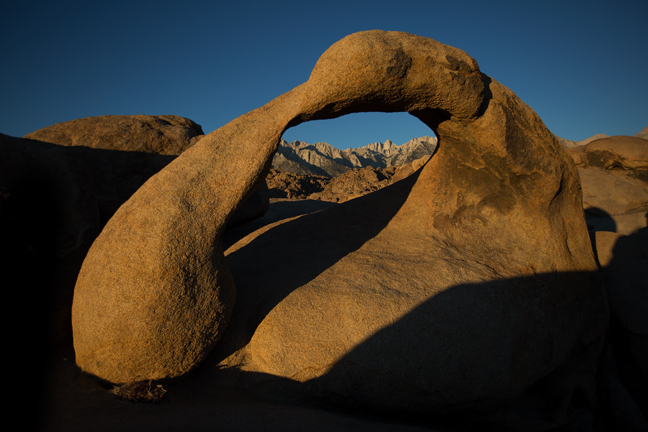 Unlike Whitney Portal Arch, it's easy to frame the Sierra's through either Mobius or Lathe Arches at sunrise. They are close together along Arch Trail which is clearly marked along Movie Road. You just have to share the vantage point with all of the other photographers who got up before dawn to make the short hike. 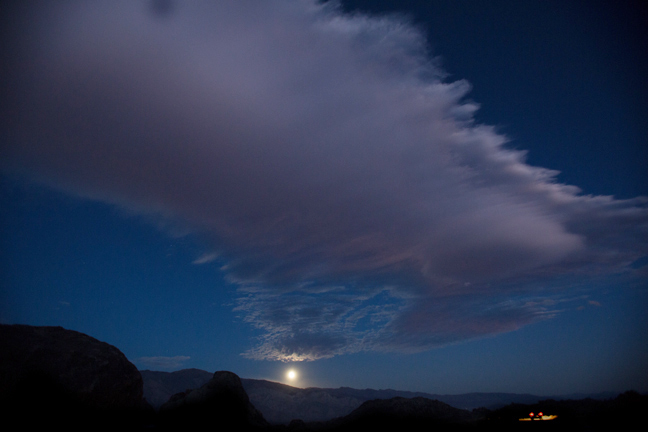 Camping is permitted almost anywhere in Alabama Hills if you decide not to make the short pre-dawn drive from Lone Pine. 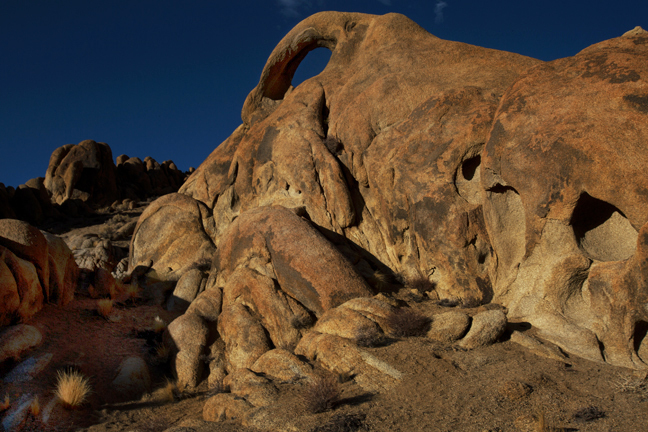 Heart Arch, which is more of a heart shaped hole in the back of a large rock than a true arch, can be seen from the Arch Trail Parking Lot along Movie Road. It is easy to reach by foot as it is about 700 feet due east of Lathe Arch. 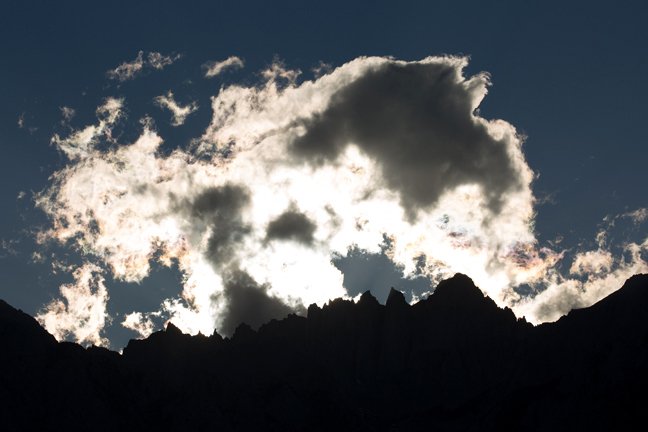 Mount Whitney, in the Sierra Nevada Range, is the highest summit in the contiguous United States with an elevation of 14,505 feet. It is 85 miles northwest of Badwater Basin in Death Valley National Park, the lowest point in North America at 279 feet below sea level. The Eye of Alabama Arch is a short drive to the east and then north on Movie Road from the Arch Trail. 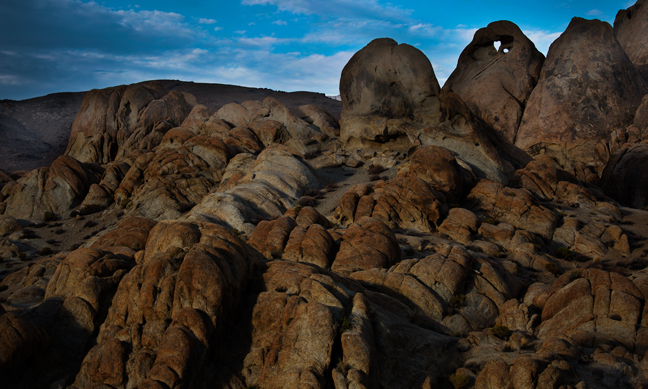 The arches in Alabama Hills are not marked and there are no mileage markers. 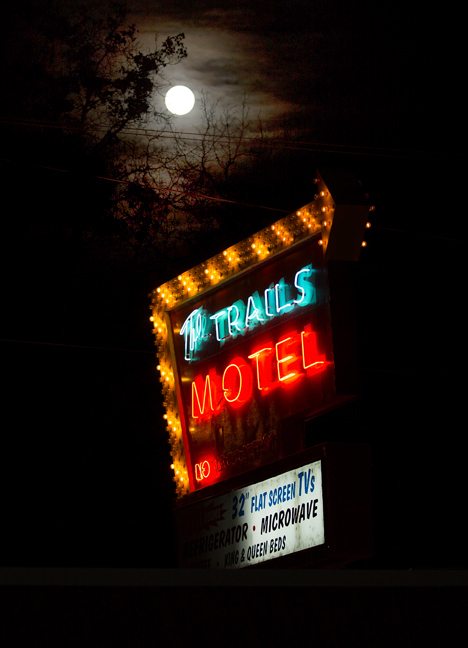 It's easiest to use the readily available GPS coordinates as there are more than 300 arches in the area. For some reason that is beyond me, there are many different published coordinates for many arches. When in doubt rely on those published by the Natural Arch and Bridge Society at http://www.naturalarches.org/index.html. 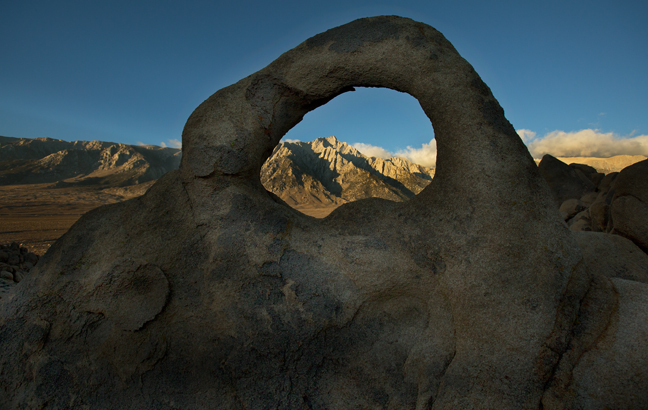 Lone Pine is the closest town to Alabama Hills, an iconic western landscape that has been seen in more than 400 films and 100 television shows. On March 26, 1872, the Lone Pine earthquake destroyed most of the town and killed 27 of its 250 to 300 residents. Manzanar, seven miles to the north of Lone Pine was the first permanent relocation center (detention center) built after President Roosevelt ordered citizens of Japanese origin living along the Pacific to be relocated. It was home to more than 10,000 Japanese Americans during the war. 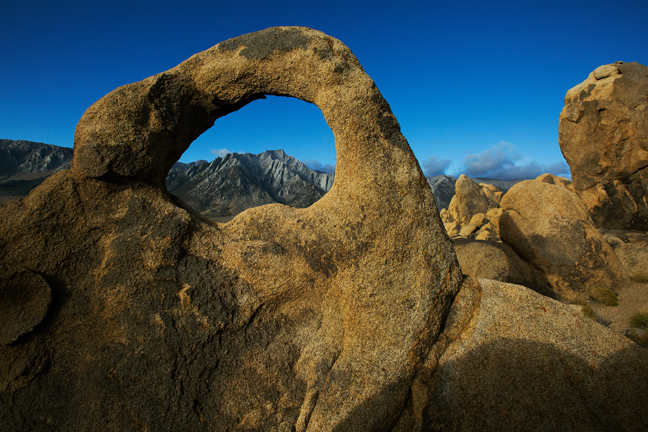 Today, Lone Pine is home to slightly more than 2,000 people and is a popular staging area for outdoor activities in the Alabama Hills and eastern Sierras.